Kim Kardashian is revealing whether or not she Kanye West are currently planning for a fourth child. The Keeping Up With the Kardashians star and the "Stronger" rapper share kids North West, 5, Saint West, 2, and Chicago West, who they welcomed via a surrogate in January. Earlier this week, reports surfaced stating that the couple is planning for a fourth baby. So what does Kim have to say about the rumors? The KKW Beauty founder addressed the speculation during an exclusive interview with E! News at the Christie's x What Goes Around Comes Around 25th Anniversary Auction on Tuesday evening in Beverly Hills. "I don't know, I don't know, I read that, I read something...none of that was true," Kim told us of the reports. "But I've been really open about it and talked about it on our show, so...I don't know." "We start filming season 16 next week, so if I think about it more and it's gonna happen, you'll definitely see it on the show," Kim shared. "But as of now, no." Fans of KUWTK will remember Kim's journey to have a third child. During a Nov. 2016 episode of the show, Kim explored the idea of surrogacy after meeting with two doctors who told her it "wouldn't be safe" for her to get pregnant again. Kim experienced difficulties during her first two pregnancies, and it was explained to her that if she were to get pregnant again it would be considered a "high-risk pregnancy." "Lately I've been thinking I would love to maybe have another baby," Kim said. "But like I had two really difficult pregnancies and really difficult deliveries so getting pregnant again it's something that does concern me." Kim and Kris Jenner went to meet with OB/GYN Dr. Crane, who explained to Kim, "Here's what I think, your pregnancies, you had toxemia, you had a retained placenta, very traumatic, we're always worried about the next serious complication. I think the potential fear of the whole situation is legitimate." "You never know that you might not have the same type of problem that might be more serious this time. You're always taking a little bit of a chance," Crane said. "There are situations where retained placenta could be life and death." After the meeting with Dr. Crane, Kim and Kourtney Kardashian met with fertility specialist Dr. Huang to get a second opinion. Dr. Huang also believed that Kim would have a "high-risk pregnancy" if she were to get pregnant again. But he said another option would be for her to get a gestational surrogate. In June 2017, multiple sources told E! News that Kim and Kanye had hired a surrogate to carry their third child. A few months later, Kim confirmed that she and Kanye were expecting a baby during a phone call with Khloe Kardashian on KUWTK. 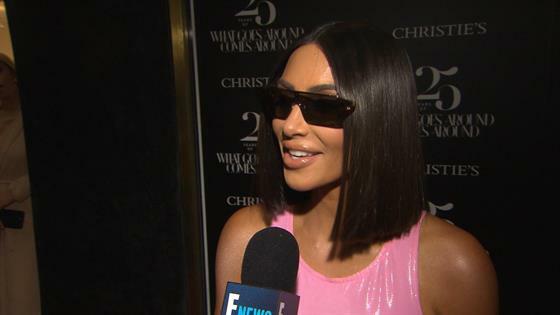 See Kim open up about having another child in the exclusive E! News interview above!